When Lawrence Artis was in middle school, he was mugged in the Bronx and had to go to the hospital because of his injuries. At the hospital, doctors discovered that Lawrence also had a heart defect. Lawrence was kept for observation, and during his stay a group of buildOn students from a nearby high school visited him and changed his life. When Lawrence became a high school student at the School for Tourism and Hospitality in the Bronx—still inspired by the students who had visited him in the hospital—he joined buildOn so he could give back to people in need. Now, he’s dedicated himself to more than 500 hours of service. Since that day in the hospital, my life has changed in a lot of ways. I think the biggest change has been in my attitude. At first, I just wanted to get revenge for what happened to me. That’s all I was thinking about. When I get out of this hospital, I’m going to get them. I’m going to get payback. But that wasn’t a healthy way to think. 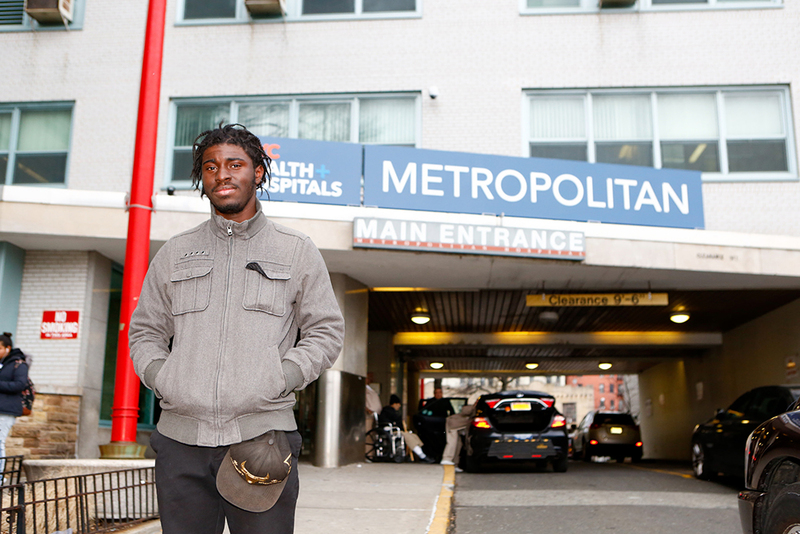 Above: Lawrence stands in front of the hospital in the Bronx where he was visited by a group of buildOn students. Lawrence says that visit changed his outlook on life. One of the buildOn students who visited me that day in the hospital explained to me that it’s not worth throwing my life away to get revenge. She told me that getting payback wasn’t going to solve any problems. And it definitely wasn’t going to solve the problem of violence in the Bronx—it would only make it worse. Now, I express compassion rather than hate. That buildOn student—she changed my life. I didn’t learn her name that day and never saw her again, but I want to say thank you for the kindness you showed me and the wisdom you gave me. I think she would be proud to see me now and know that I joined buildOn after I transferred to the School for Tourism & Hospitality in the Bronx. Now, I express compassion rather than hate. Above: Lawrence volunteers to tutor children at a local after-school program in the Bronx. 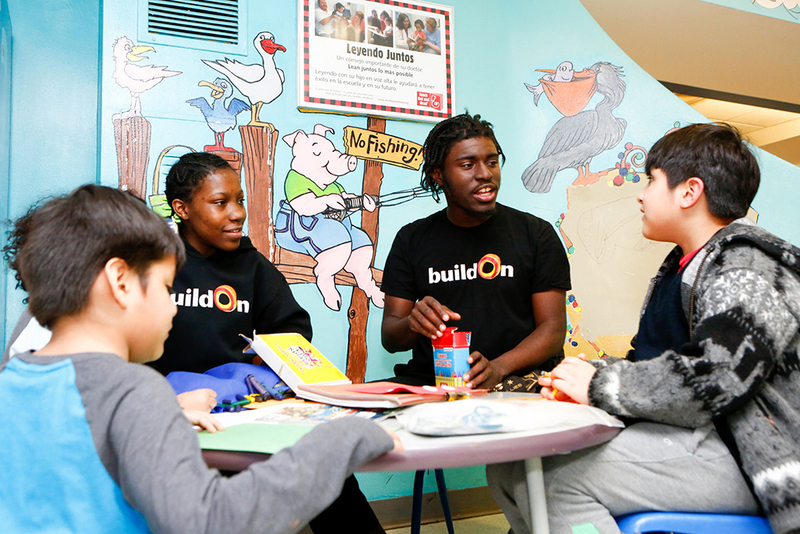 A leader within buildOn, Lawrence has become a positive role model for young children in his community and hopes to inspire the next generation to give back through service. I want people to know that even though I grew up in a tough community, I’ve always wanted to help people and do good things. I want everyone to understand that in every neighborhood there are good people who stand up for change. But I never had a way to help other people until I joined buildOn. …I never had a way to help other people until I joined buildOn. By being a part of buildOn, I actually get to do what I’ve always wanted—help people out, put smiles on people’s faces, tell jokes to people who are in tough situations to make them feel better. Some of my favorite projects are when we go out into the Bronx and hand out “Bags of Hope”—lunch bags with positive messages written on them. Once, I met a man who had just been diagnosed with cancer. We had a long conversation, and he said that I made his day better, that he had never had someone come up to him in the Bronx and ask him about his life. And another time, I gave lunch to a man named David who was homeless. He was so happy and proud to see young people in the Bronx serving. He said that one day, when he gets off the streets, he wants to help others and join buildOn. 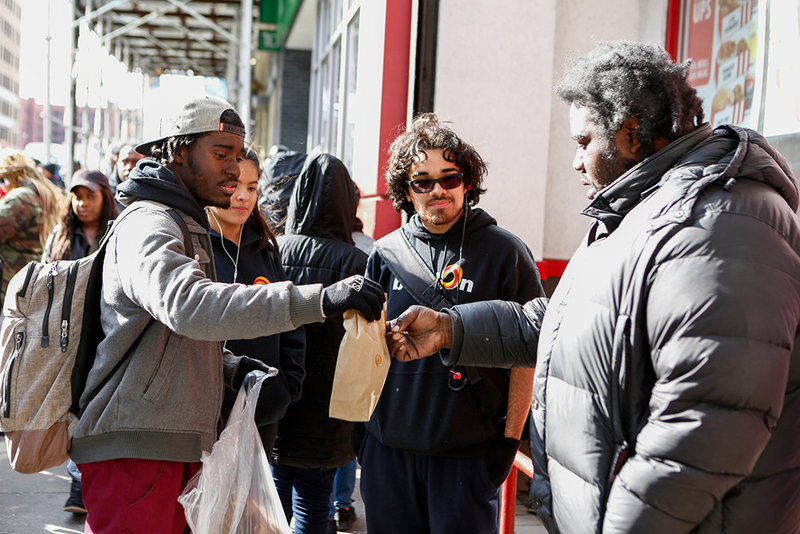 Above: Lawrence passes out a ‘Bag of Hope’ in the Bronx. By dedicating himself to serving his local community, Lawrence has served 583 hours with buildOn. It’s through service that I’ve learned what it means to be a leader. The buildOn staff at my high school encouraged me to start taking more initiative and leading service projects, and I’ve encouraged other students to do the same. Being a leader means always working to understand someone else’s point of view and never judging another person. From leading service I’ve learned that it is up to me to listen to people, to respect their feelings and who they are individuals, and that no matter the situation, I can control my actions and always treat people with compassion. Service has given me the ability to do the things that most people are afraid to do—stand up for what’s right and for the things I believe in. Service has given me the ability to do the things that most people are afraid to do—stand up for what’s right and for the things I believe in. We participated in marches to end gun violence and human trafficking, we’ve served warm meals at homeless shelters and soup kitchens, and we’re out every Saturday serving our communities. I’ve even traveled to Delva, Haiti, with buildOn to help build a school. Above: Lawrence traveled to Haiti in 2018 with buildOn to break ground on a new school in a community that had never had a proper school structure. 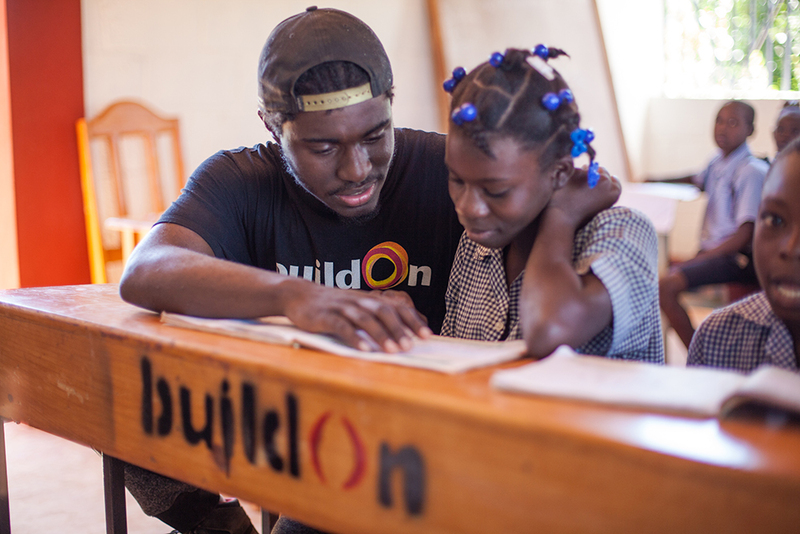 None of the service I’ve done with buildOn would have been possible without the help of buildOn’s supporters. And the same is true for the girl who changed my life when I was in the hospital—she wouldn’t have been able to serve without support for buildOn. Sometimes I think about all of the members of the buildOn Movement, and it fills me with so much hope. I know that together we can empower more youth to be leaders and change the world for the better.